Some motorists with 30 or more penalty points on their licences have not been banned from driving, according to the Institute of Advanced Motorists (IAM). Driver and Vehicle Licensing Agency (DVLA) figures showed that one woman from Isleworth in west London amassed 42 points last year, the IAM said. Drivers face a temporary ban if they accumulate 12 points on their licence over a three-year period. But magistrates can choose not to enforce a ban in exceptional cases. In the Isleworth woman's case, the 42 points were all for failing to disclose the driver's identity. The second-highest points total - 36 - for a person still driving went to a man from Warrington, Cheshire, who was caught driving without insurance six times in less than two weeks between February and March last year, the IAM said. IAM chief executive Simon Best said: "DVLA and the courts service are upgrading their computer systems to ensure that offence information is shared more efficiently, but this is not due to be in place until October. "When drivers with 10 speeding offences are getting away with holding a licence, these improvements cannot come quickly enough." He added: "The IAM has no sympathy for owners who refuse to reveal the identity of the driver, and we would welcome an urgent consultation on new ways to deal with this problem. "Drivers must expect that 12 points means a ban or the whole system falls into disrepute." A spokesman for HM Courts & Tribunals Service said: "The vast majority of drivers who get 12 or more penalty points are fined and disqualified from driving. "Magistrates can use their discretion to not enforce a driving ban if doing so would cause exceptional hardship, such as losing a job or the ability to care for a dependant. A fine will still be enforced. "Only a very small number of cases are affected by the data-sharing issue and we are working closely with DVLA to improve this." 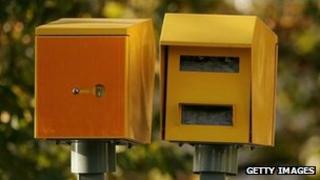 A DVLA spokesman said: "The DVLA's role is to record the information provided by the courts. The courts are able to use their discretion to decide whether or not to disqualify a driver."